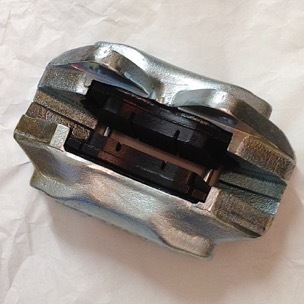 I can also supply 4 pot callipers that are made from billet aluminium. 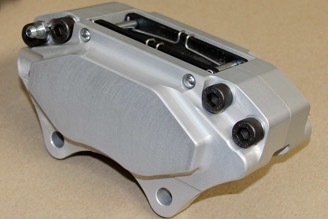 These are manufactured in the UK by Coopercraft and are supplied with pads. 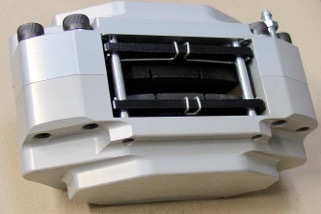 They are a straight replacement for the standard calipers however sometimes when fitting replacements it is necessary to shim them in order to centralise the caliper with the brake disc. 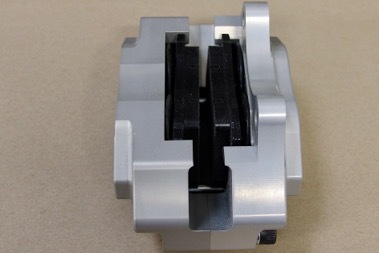 I have had some shims manufactured and can supply these if required. 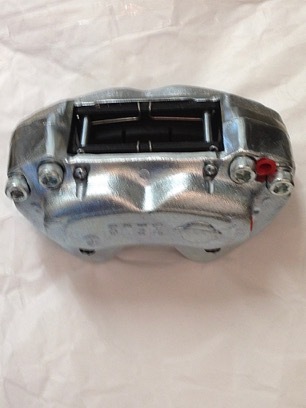 The billet calipers photographed below are available for £510 a pair including VAT. Postage and packing is extra.